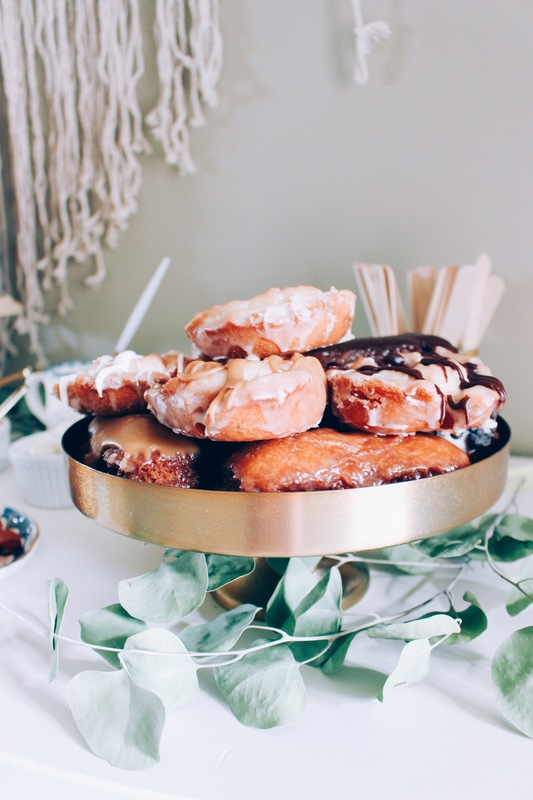 Light neutrals, earthy elements and texture define this modern mixed gender baby shower. 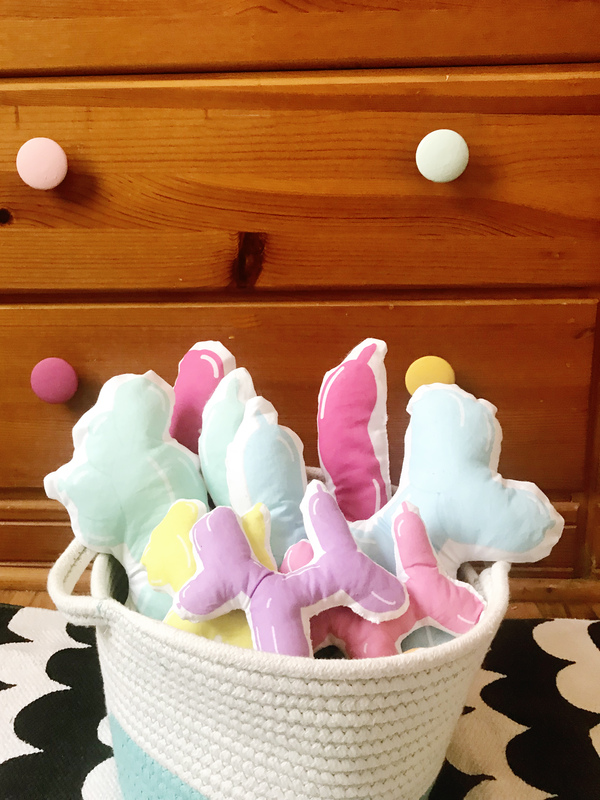 It’s perfect for boy/girl twins, joint showers, or gender neutral parties. Last summer we welcomed two new babies into our family! Of course Malissa had her adorable little Pierce, and our brother and his family welcomed an adorable baby girl, Averie! The whole family had planned a trip to our brother’s city a couple of weeks after Averie was born and Malissa was in town and still expecting so we decided it would be the perfect time to have a joint party to celebrate the babies. 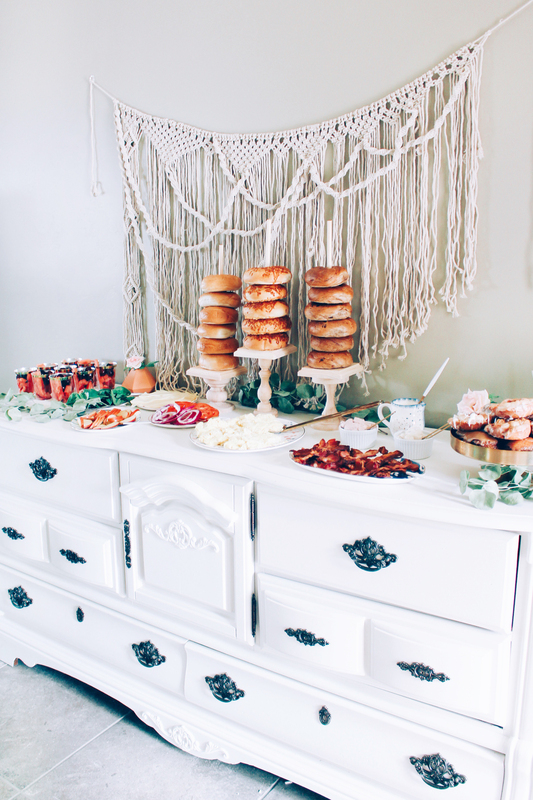 Malissa had her full-blown shower the weekend before and since there was a newborn present, we kept it to just a small and simple brunch. There is nothing unique about loving Christmas time but truly there is no better season! Even all the decorations are just so much better than any other holiday. I love how cozy my home feels during the holidays and always want to snuggle right by the tree. This year I could not wait to get the tree up and I even put it up before Thanksgiving. I couldn’t help myself – I wanted to put it up with Pierce so badly. Obviously he wasn’t much help since he is only two months but putting it up with him and his dad was such a wonderful experience. Even though everything we do this holiday season is more for me than him I cannot wait to experience every sweet moment with my little love. Here he is lounging in front of our tree! I cannot believe how big he already is. I get emotional just thinking about it. Before I was a mother and I heard other parents talk about being sad when their baby grew out of clothing or got bigger I thought it was quite strange. I just didn’t understand it until I went through it myself. So you better believe that when I went through his newborn clothes and packed them up that I cried. I love seeing the strides he is making but it is bittersweet. It is so fun to see him stare at objects and the lights on the tree are already one of his favorite things to look at. The other one is his daddy. 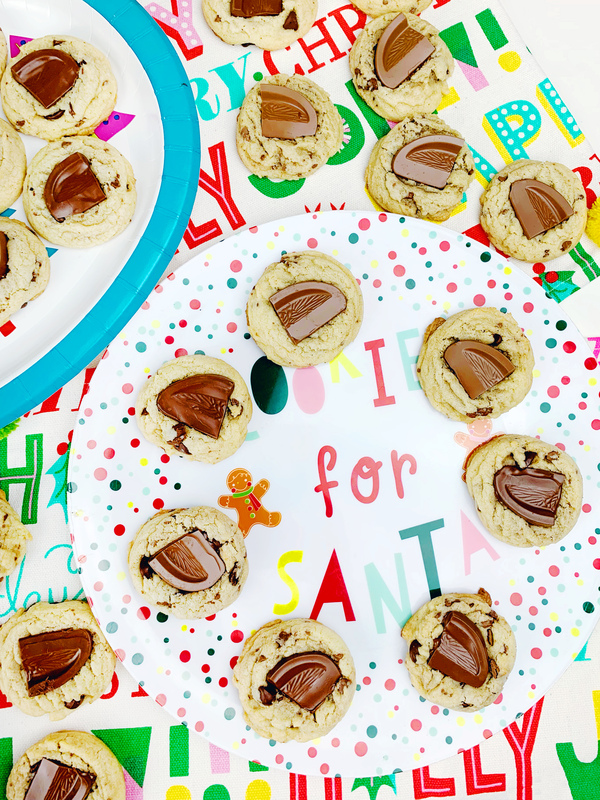 A holiday favorite candy gets baked into soft and delicious cookies, with a special ingredient (orange olive oil) to make them extra Christmas-y! Chocolate orange chocolate chip cookies will be a new tradition. Honestly, with the way the last month has gone, I wasn’t sure we’d get any Christmas posts up this year! My family was hit with a few sicknesses (we’re battling a new round again right now!) and we also got to go out of the country for a whole week! It’s been crazy. With all the craziness that already is the holiday season, I had sort of written off all of my fun blog ideas this year. And I seriously had some good ones :( But I just had to make time for this one because not only is it super delicious and festive, it’s also part of a contest in which YOU could win $1000 in amazing prizes! Did that catch your attention?! It should of, cus this is seriously fun! 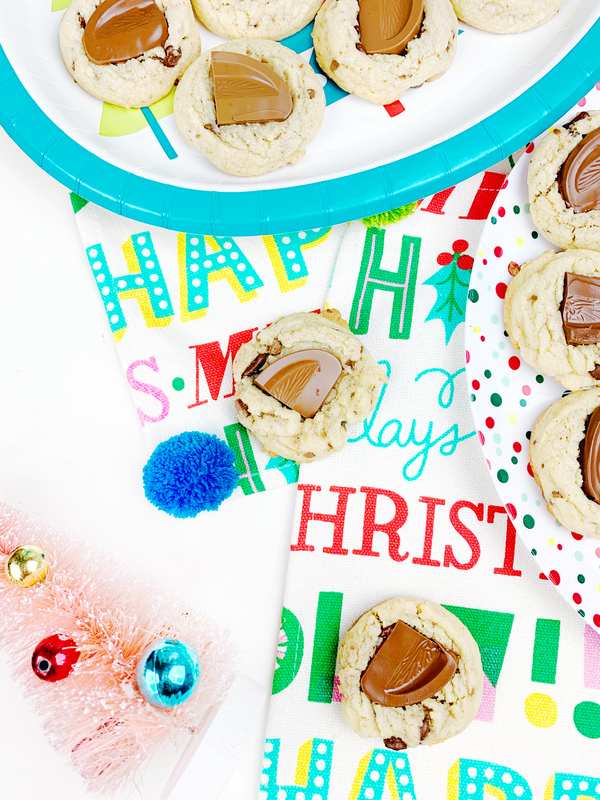 We’ve teamed up with a bunch of awesome bloggers, and Pinhole Press, to bring you a Holiday Cookie Bake Off! You can read all about it on the Pinhole Press blog and there’s even a fun short video. The short story is, you can follow our Pinterest board of amazing cookie recipes, try any of them out and upload a picture of your cookies under the “tried it” section of the pin. Every photo gets an entry into the contest and the chance to win the amazing grand prize! 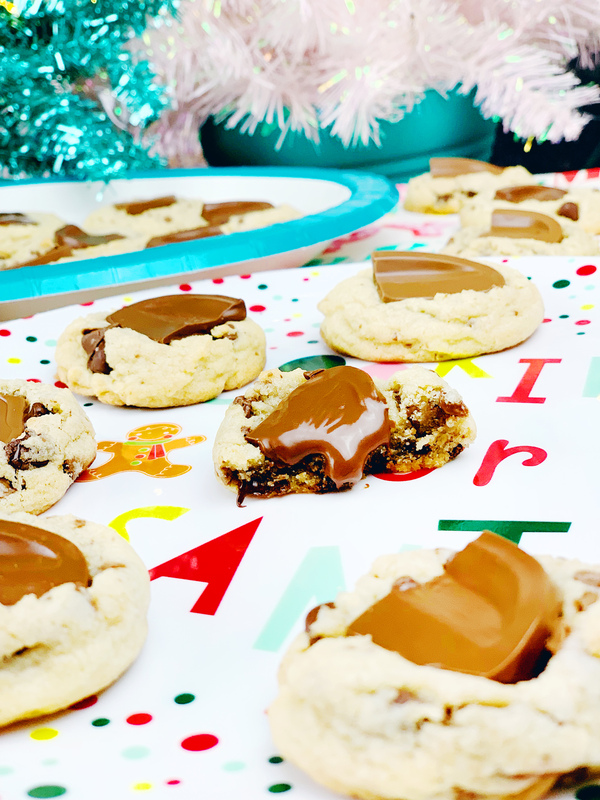 Now, I cannot wait to try out some of the fabulous recipes on the board which includes favorites like spritz cookies (a staple in our holiday baking) and soft sugar cookies, to cookie butter and caramel sandwich cookies (yum!) and lots of candy cane goodies! For our recipe, I decided to go to one of my favorite Christmas candies for inspiration! Don’t you just love those fun and delicious chocolate oranges?! It was one of the candies we got every single year in our stockings and I absolutely have to enjoy at least one a year still! 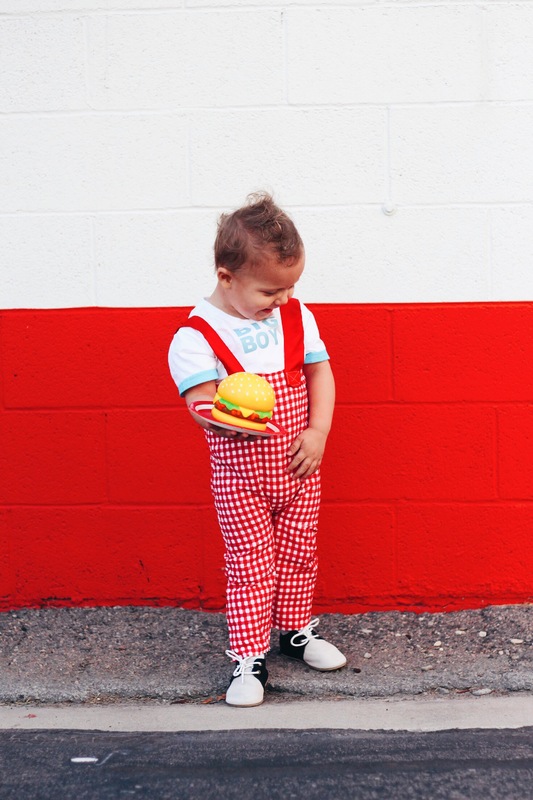 A costume for those big-eyed, juice-box-bellied babies in your life. 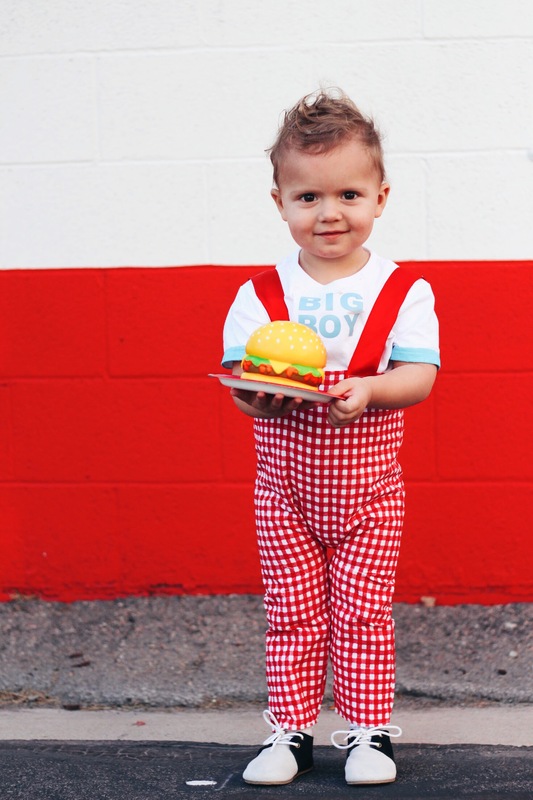 Recreate the iconic Bob’s Big Boy Statue with this Big Boy Burger Costume DIY! Ok. Even if you don’t get this costume right off the bat LOOK AT THAT YUMMY BOY!!! Are you kidding me?! It’s a miracle I haven’t eaten him up already. This was his first solo blog modeling job and he was the sweetest, cutest little dude the whole time! AND, he turned two just yesterday (or today as I write this!!) Can you believe that!? I shared his first birthday, a Halloween Carnival here just a couple weeks ago and even that party feels so recent! But it was a year ago!! I love that he’s getting older though, TBH. It’s so much more fun (and way easier than when he was baby) haha. But, neither of us could remember exactly what it was we were thinking of! We knew it was a boy holding something and he had a round ol’ belly and that it was an iconic thing. We just could not put our finger upon it or find what we were looking for by Googling. I never forgot it though, I’d sometimes try to find it again, I just knew it looked just like my son! Without a seconds hesitation he knew EXACTLY what it was I was talking about! He whips out his phone and brings up this picture of the Big Boy statue from a Southern California burger Joint, Bob’s Big Boy. (Here is a fun little history on the place.) And I was like “That’s it!! !” Just like that, he understood my cryptic message and solved the mystery haha! Our first foray into YouTube is silly, frustrating, and very mommy-relatable! 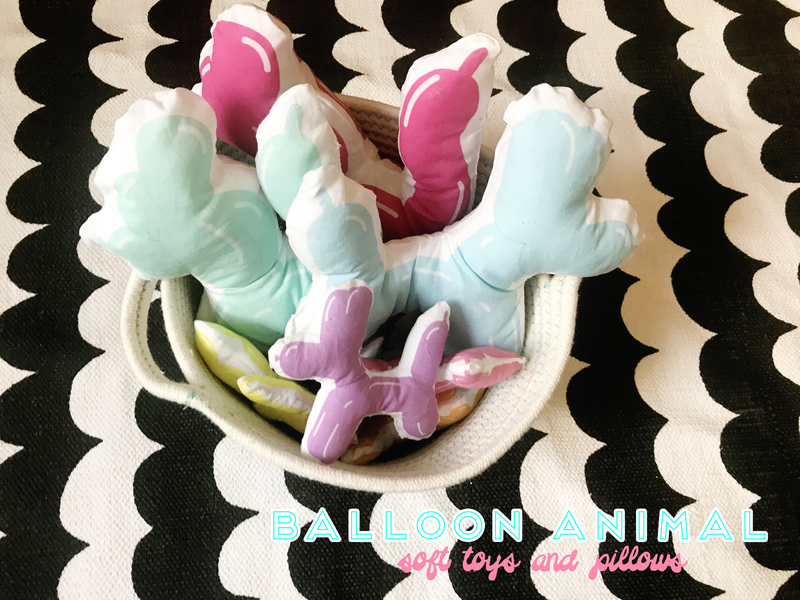 Make DIY Balloon Animal Soft Toys with your kids (tugging at you) and our easy-to-follow Spoonflower designs! We did it!! After the Party Starters videos we shot last year for food.com we had the desire to get into making our own videos. But, like everything else this last year, it’s been really hard to get done! We’ve had a hard enough time just completing our blog posts, let alone learn a whole new medium and website! I finally had the idea to try and incorporate my kids into the videos because heaven knows that it would be near impossible not to! I also thought this would just be fun! As moms, our kids are always right around wanting our attention and to “help” with projects. I think there is a tendency to see things online and wonder if that mom has a lot of help. Maybe the kids go to daycare? Is here a nanny? Could she be so lucky that her kids play by themselves? 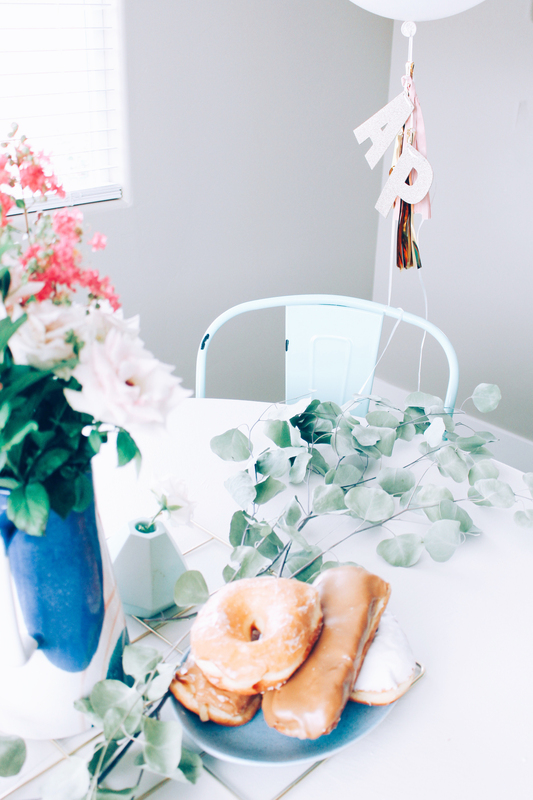 The truth is, those things are the case for many blogging mommies out there. 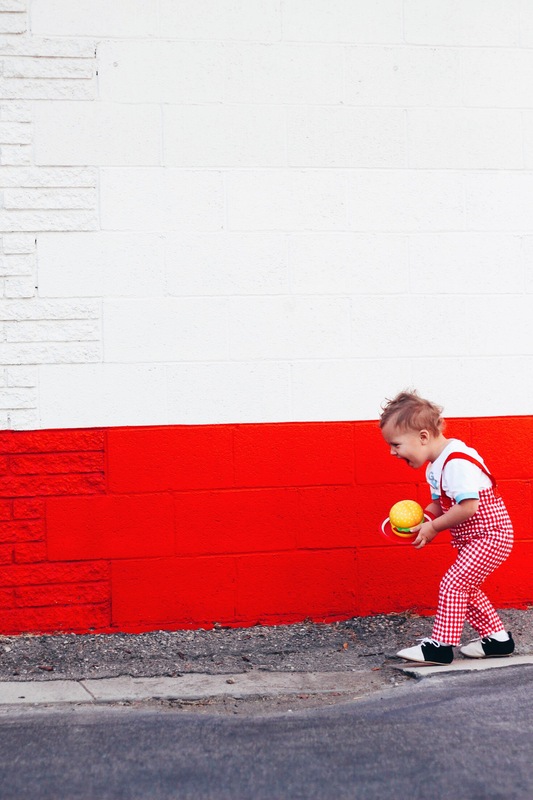 I’ve heard stories of bloggers who send their kids to daycare all day, and bring them back just to pose for pictures. But that’s certainly not the case for me. While it would be so nice to have even a couple hours a day, it’s not something we’re able to do.